Kevin Locke, an American Indian believer and Auxiliary Board member, spoke about Bahá'u'lláh to a gathering of approximately 100 Hopi elders in Arizona. "He [Kevin Locke] spoke to them very directly about Bahá'u'lláh's coming and His Message", relates the report. "He was very well received and invited back, and invited to work with the youth and children." This meeting was unique because the Hopi elders rarely gather, apart from their own village ceremonies where only a few live in each village. 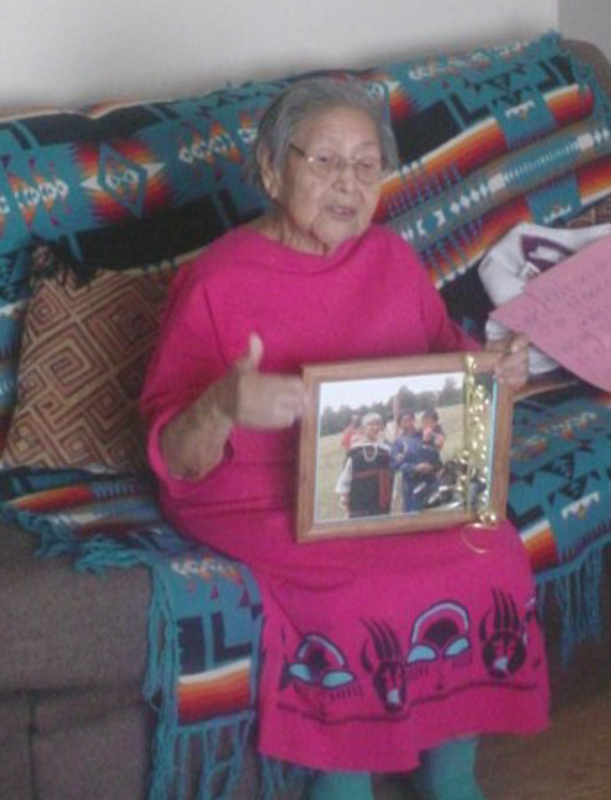 Elizabeth Dahe, a long-time Bahá'í and Hopi elder, invited the other elders to gather and meet Mr. Locke. "She drew on her life-long friendships and her own status as an elder, saying to Kevin, `I realized that if I don't do these things now, there won't be time later on." The Hopi Tribe is a sovereign nation located in northeastern Arizona. The reservation occupies part of Coconino and Navajo counties, encompasses more than 1.5 million acres, and is made up of 12 villages on three mesas. Since time immemorial the Hopi people have lived in Hopituskwa and have maintained our sacred covenant with Maasaw, the ancient caretaker of the earth, to live as peaceful and humble farmers respectful of the land and its resources. Over the centuries we have survived as a tribe, and to this day have managed to retain our culture, language and religion despite influences from the outside world.